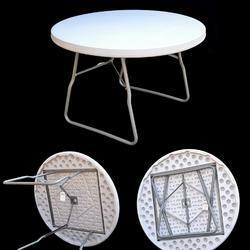 We are a leading Manufacturer of folding round table - 4' dia., round folding table-3' dia. 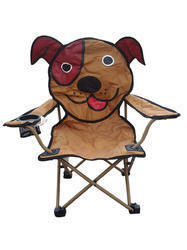 and folding kids chair - dog from Surat, India. Size 118 Cm Dia x 73 Cm Ht. Size - 118 Cm Table Top, 75 Cm Ht. Weight - 15 Kg. Dimensions - 118 Cm Table Top, 75 Cm Ht. Weight - 15 Kg. Suitable to seat for kids of age 01 - 08 Yrs.